All RSL doorglass use safety tempered glass. Blinds: Always transport in raised position. Decorative: Handcrafted, so bubbles & pattern variations are unique art glass and not defects. Storm doors can cause heat damage; venting recommended. RSL warranty does not extend to the end consumer. 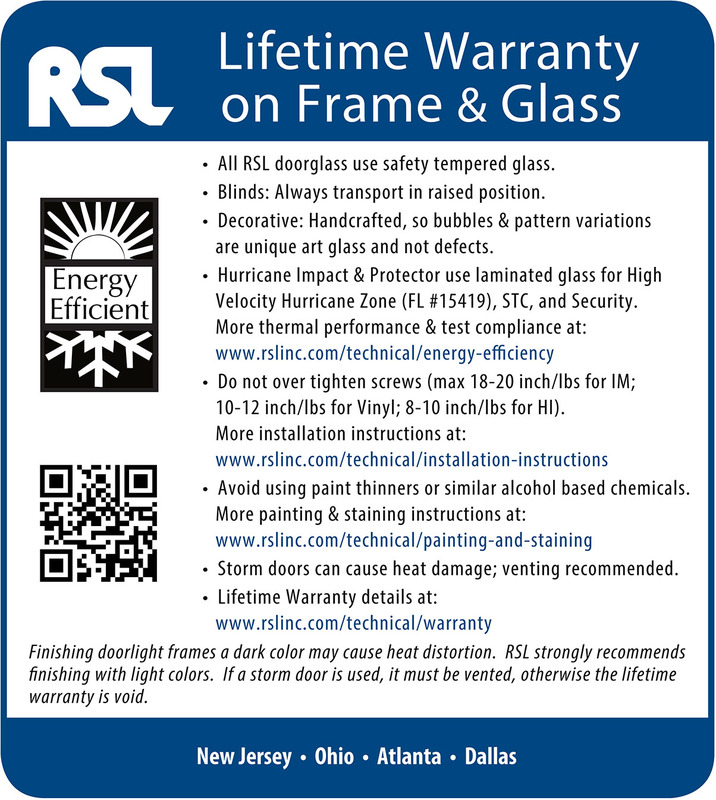 Please contact your local RSL distributor where glass was purchased for more information. Defects or damages arising out of, or as the result of accident, mishaps or improper installation, or such other circumstances beyond the control of RSL, Inc.